An agricultural education foundation has given two Texas Panhandle school districts a large boost to invest in their students' futures. Kress Independent School District and Memphis Independent School District are recipients of grants worth $25,000 and $10,000, respectively, from America's Farmers Grow Rural Education, a program sponsored by the Monsanto Fund. The competitive grant program helps rural school districts beef up learning and career pathways in science, technology, engineering and math, or STEM, education. To be eligible, rural school districts must develop a plan to increase STEM learning and must be nominated by area farmers – the more farmers, the better to demonstrate community support. Once nominated, districts compete within their U.S. Department of Agriculture-designated crop reporting districts. 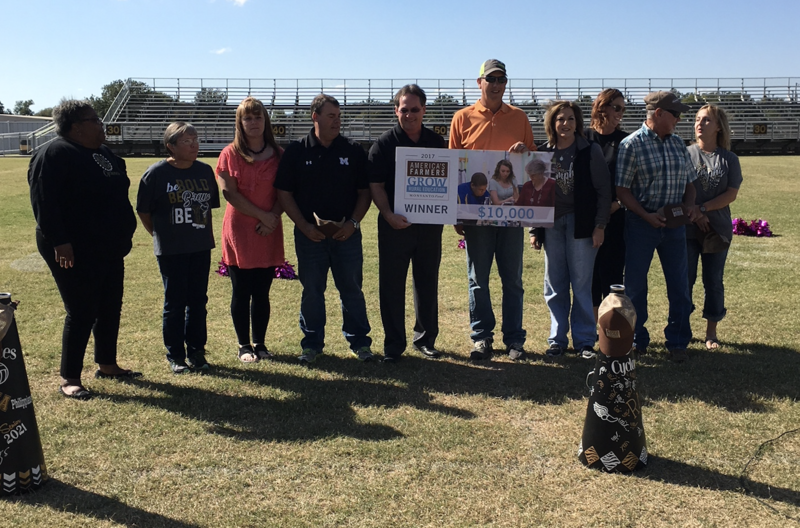 Kress ISD has received Monsanto Fund grants in the past, most recently a $10,000 award that was used to enhance science education. Such grants ease the tight budget constraints small districts face, Superintendent Leah Zeigler said. Monsanto district sales manager Tyson Schulte, right, presents Kress ISD with its $25,000 grant. 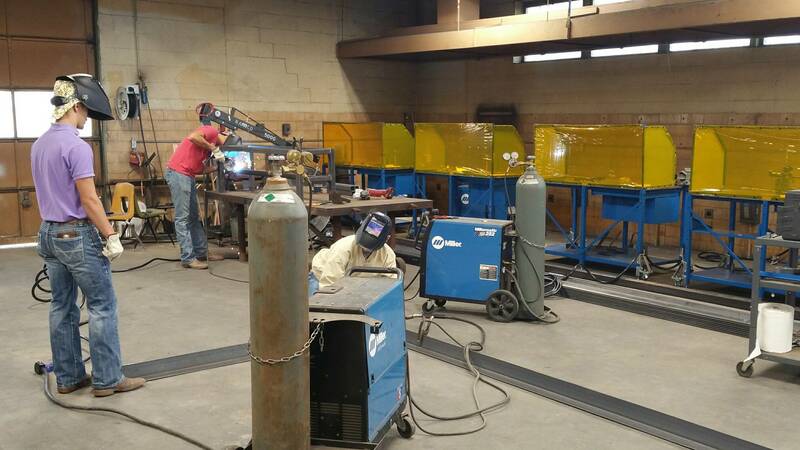 The district has used this year's $25,000 gift to build four new welding booths and buy new welding equipment. Zeigler said the district is working to offer different career pathways to students in addition to academic options. Zeigler constantly seeks grants to supplement her rural district's revenue and keep up with changing curriculum standards. The district in recent years has transformed its agricultural program from an animal production focus toward agriculture-related welding and wood shop. "The only avenue we have to get a chunk of change like this to start a program with everything a kid needs is to get money like this," Zeigler said. This is the second time Memphis ISD has won the grant. A Monsanto representative presented the check to Memphis ISD Friday afternoon during a pep rally. Memphis ISD officials receive their $10,000 check from a Monsanto representative, Friday, Oct. 20, 2017. Memphis ISD was nominated by 25 farmers. "We're very proud they nominated us," district technology director Jennifer Lindsey said. With the grant money, Memphis ISD has furnished middle school math classrooms with 40 Chromebooks, which the district dubbed a "Chrome-tastic opportunity" to boost engagement and learning. The Chromebooks already are in use in classrooms, Lindsey said. Kress ISD and Memphis ISD are two of eight Texas school districts that received grants. The America's Farmers Grow Rural Education program expects to dole out $2.3 million this year to school districts across the country.